While all eyes have been on Pennsylvania and California in regards to online gambling, another state has now been introduced into the mix. West Virginia is now the latest state in the US to begin discussions on offering online gaming options. Earlier this week the Lottery Director of the state, John Musgrave, told officials of the lottery that discussions have taken place with casino personnel of West Virginia to consider online gaming options. According to Bluff.com, the story popped up in the Charleston Daily Mail and discusses how the state is exploring the option of online gaming. Musgrave stated that the state officials are still exploring the online gaming industry as they feel they should plan for it due to the way the industry is moving. 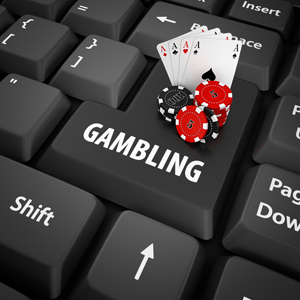 Officials have not made a decision as to how they would like to implement online gaming but officials and interested parties are now looking at the option, studying it and trying to determine how the casinos in the jurisdictions can move in the direction of online gaming. For online gambling to take place in the state, in regards to casino and poker, a bill would need to be approved by state legislature and then gain the signature of the governor. According to Musgrave, if the state allowed online lottery sales, then legislation would not need to be adjusted. Musgrave feels as though this option could be implemented now. If online lottery options were allowed, the state would join the small club of states offering online lottery sales which includes Georgia, Illinois and Minnesota. The concept being considered in the state would be an application that allows players to use their mobile phone to purchase tickets and collect winnings. If the state begins to offer online lottery sales, they should see an increase in sales which is the main goal. With online lottery options, the state could then begin to consider full online gaming. If the lottery option does not require legislation, the state can go ahead and begin earning additional revenues. The focus could then shift towards online gaming in other areas including casino and poker.